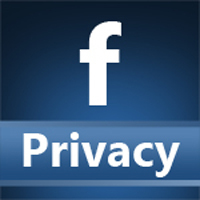 Facebook users have expressed more interest than ever in learning how to protect their own privacy on the platform. That’s not surprising, given the sheer amount of scandals the company has faced recently. Now, Facebook has admitted that it’s heard these complaints, and will fix its controls with design changes and a staff re-organization. The company said it wants to start by raising awareness of its privacy features, which it says many users don’t know exist. Facebook also plans on revamping the design of its settings and rolling out the recently-announced “Clear History” feature. Still, the social media giant admitted that it has its work cut out for it. That is certainly a difficult problem to solve, but it’s one that Facebook willingly took on when it grew to its size. With over 2 billion active users, the company has an equally huge responsibility to protect us.